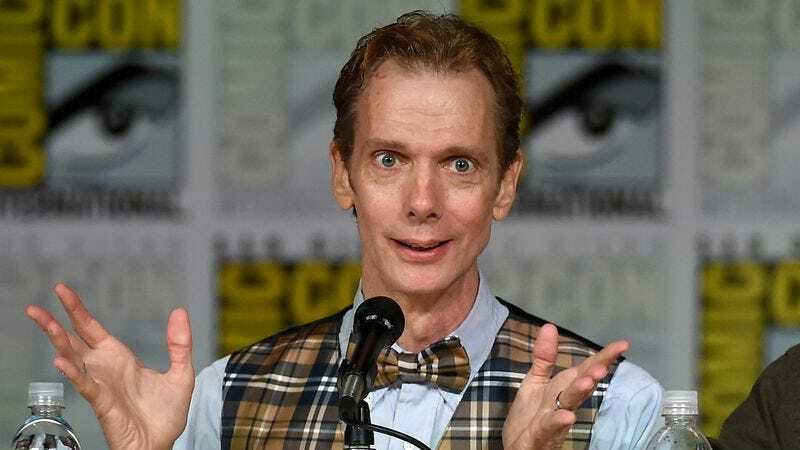 Doug Jones is an actor who has almost assuredly come across your TV or computer screen at some point. It’s also entirely likely that, despite having watched and enjoyed his performances multiple times, you couldn’t pick him out of a lineup. That’s because Jones is nearly always buried beneath mountains of makeup, or prosthetics, or doing motion-capture work, or simply replaced by CGI. So it may seem like you’re happening upon some unknown actor when you seen him in his next project: Variety reports Jones is set to star in The Bye-Bye Man, a new horror-thriller beginning principal photography in November. The film is set to recount a “series of terrifying events experienced by three Wisconsin college students,” to be played by Douglas Smith (Ouija), Cressida Bonas, and Lucien Laviscount (Scream Queens). Jones will play the title character, a fearsome individual who presumably just can’t get enough of tearful, hug-filled farewells, making him history’s greatest monster by a wide margin. No word yet on whether you’ll actually see Jones’ real face in the one, or whether it’ll go the way of his roles in the Hellboy movies, Falling Skies, Pan’s Labyrinth, Buffy The Vampire Slayer, Fantastic Four: Rise Of The Silver Surfer, The Time Machine, etc.